Fox & Mandal, Kolkata (F&M) promoted seven of its principal associates to partner on 29 August. The promotions bring the total number of partners to 12 across the firm’s four offices. The new partners are Sanjiv Kumar Trivedi, Orijit Chatterjee, Sumit Dhar, Prerona Sil, Biswajit Kumar, Sourav Bhagat and Sharmistha Ghosh. All of them are old hands at the firm with Chatterjee having joined the firm in 1999 and Dhar joining in 2000. 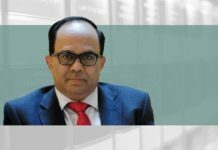 Chatterjee’s main areas of practice include joint ventures, infrastructure and foreign exchange regulations-related issues, while Dhar advises on corporate, commercial and real estate matters. Cyril Amarchand Mangaldas (CAM) has hired Keshav Zarapkar as its head of business development (BD) and strategy. Zarapkar was previously the associate director of strategy at Khaitan & Co and had worked there for 10 years. “[The role at CAM] is a more senior role in terms of managing the team and increasing the firm’s international presence,” Zarapkar told India Business Law Journal. The firm recently hired Rahul Gossain as its head of communications in the Delhi office from Shardul Amarchand Mangaldas & Co. Zarapkar said the firm was not planning to make additional hires to the BD and communications teams at the moment. ANM Global appointed Anushree Rauta as a partner on 1 August to lead the entertainment and media practice. Rauta previously worked with Naik Naik & Company for eight years. Rauta specializes in media, entertainment and information technology laws, and also practises litigation specific to this practice area. “[Managing partner Nidhish Mehrotra] and my thoughts are fairly aligned on how we wish to build this practice forward,” said Rauta. She has advised studios, broadcasters, production houses, music labels, content aggregators, digital platforms, celebrities, event organizers and film trade associations. Eight Indian teams will be competing at the global finals of the Foreign Direct Investment International Arbitration Moot in Stockholm from 8-11 November. Defending global champions National Law School of India University, Bengaluru triumphed in this year’s South Asia Regional finals, defeating a team from the National University of Juridical Sciences. The regional finals, organized by Kachwaha & Partners, took place in Delhi on 19 August and were judged by Supreme Court Justice Fali Nariman; Professor Datuk Sundra Rajoo, a director of the Asian International Arbitration Centre; and Moolchand Sharma, a former professor of Delhi University and vice chancellor of Central University, Haryana. The Taipei Economic and Cultural Center (TECC) in Chennai appointed Vinod Surana, partner and CEO of Surana and Surana as an honorary legal adviser on 30 July. Surana will offer a comprehensive legal consultation to Taiwanese companies and entrepreneurs in this capacity. TECC says the move is aimed to assist Taiwanese companies in investing and doing business in south India, in addition to creating a network of legal protection for Taiwanese investors and business persons. Surana is also the co-chairman of the southern region development council of the Associated Chambers of Commerce and Industry of India.